Shawn’s ongoing goal is to provide comprehensive wealth planning and sound investment management that not only meets his own high standards of excellence, but exceeds his clients’ expectations as well. Throughout a career that spans nearly 20 years, clients have appreciated Shawn’s loyalty and honesty, his insightful strategic analysis, penchant for detail and commitment to making sure they fully understand the investment decisions made. 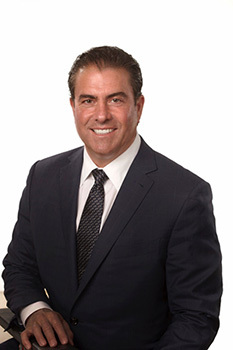 Before establishing Dewane Investment Strategies in 2004, Shawn served as a first vice president with Wachovia Securities and a vice president with Prudential Securities. Shawn earned a bachelor’s degree in business management from Arizona State University and an MBA from Pepperdine University, where he now serves as an adjunct professor. He received a scholarship from the Los Angeles Society of Financial Analysts to study at USC for the Certified Financial Analyst level one exam. In addition, he has been awarded the Investment Management Consultant designation by the Raymond James Institute for Investment Management Consulting. Shawn is very active in community organizations and has a long history of public service. He is currently serving as president of the Orange County Water District board, vice president of the Mesa Water District board and chairman of CalDesal. He has been recognized by Rotary International as a Paul Harris Fellow. Originally from Manitowoc, Wisconsin, Shawn lives in Costa Mesa, California, with his wife and partner, Tracey, and their three children: Ryan, Shannon and Cristina. Dewane Investment Strategies is not a registered broker/dealer and is independent of Raymond James Financial Services. Investment advisory services offered through Raymond James Financial Services Advisors, Inc. Securities offered through Raymond James Financial Services, Inc., member FINRA/ SIPC.